The final piece of any trilogy is the most important. Years of anticipation come to a close. Storylines must be succinctly wrapped. Heroes have to face their toughest adversaries. Without the proper leadership, it can all fall apart, creating failure and disappointment. Such is Hollywood, such is horse racing. Trainer Jorge Navarro knows this all too well as he sends his world-class sprinter X Y Jet to Dubai for his third (and possibly final) attempt at winning the Golden Shaheen (G1). With a purse of $2.5 million, it’s the richest dirt sprint event in the world. Navarro assumed duties of the now-7-year-old gelding at the end of his juvenile season. In their first start together, he nearly won the Pasco Stakes at Tampa Bay Downs in gate-to-wire fashion. 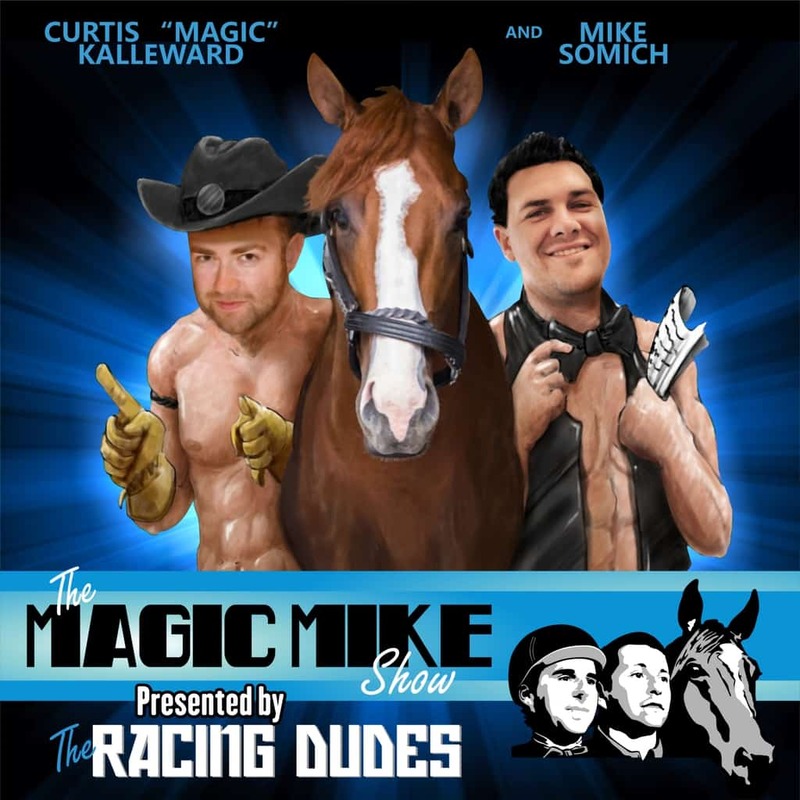 Since then, the two have won 10 times in 17 additional starts, including four G3 events, with earnings totaling $1,541,730, but their road to get here has been far from easy. 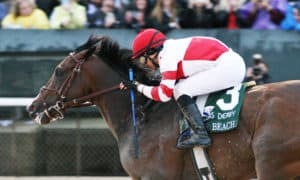 Following an unsuccessful attempt along the 2015 Kentucky Derby trail, “The Jet” cut back to one-turn races in the fall and immediately flourished, winning five straight races at three different tracks, including his first two career G3 scores in the Mr. Prospector Stakes and the Gulfstream Park Sprint Stakes. 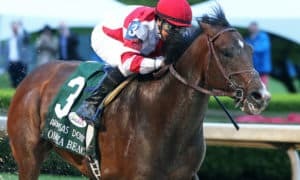 Entrenched as one of the hot young sprinters in America, Navarro confidently entered the son of Kantharos in the 2016 Golden Shaheen against a field of internationally-renowned sprinters that included Muarrab and Reynaldothewizard, veterans with multiple wins under their saddles. Thus began his first mid-March sojourn to Meydan Racecourse. Muarrab would only win once more in his final nine career starts, but The Jet’s ascenscion – despite the narrow loss – was seemingly just beginning. Then came the swarm of injury bugs. X Y Jet exited the Golden Shaheen with a chipped knee that required surgery, forcing him to miss the entire summer schedule. Co-owners Rockingham Ranch and Gelfenstein Farm allowed Navarro to provide him with plenty of rest and recuperation time before returning to the track six months later in the Vosburgh Stakes (G1) at Belmont Park. A fifth-place finish there precluded a better-looking third in the De Francis Dash Stakes (G3) in mid-November, but that would be the last that fans would see of him for over a year. 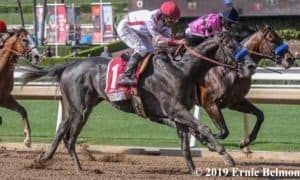 Two additional knee surgeries kept X Y Jet sidelined from November 2016 until December 2017, which is when Navarro placed him in the field for another run at the Mr. Prospector Stakes. Most horses don’t return to form after taking one trip under the knife, let alone three, yet the gelding had posted several consistently sharp workouts leading up to his return. His conditioner had a feeling that somehow, the best was still to come. 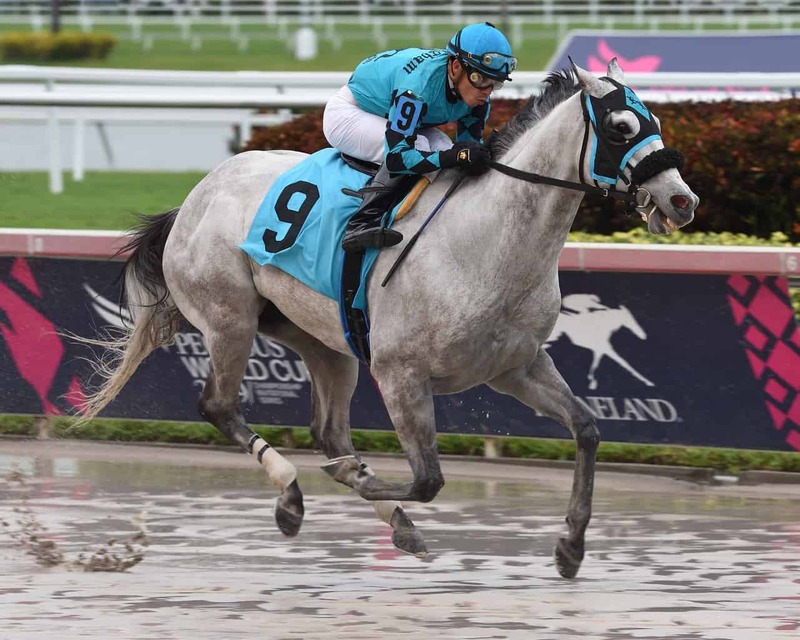 As he had done two years prior, X Y Jet took both the Mr. Prospector Stakes and the Sunshine Millions Sprint Stakes (for Florida-breds), but for his final Dubai prep, Navarro chose to ship across town to Tampa Bay Downs for the Pelican Stakes. The change in scenery had zero effect on the gray-coated veteran, who romped for fun in what was essentially a paid workout. X Y Jet’s narrow defeat in 2016 was not the only loss that Navarro hoped to avenge in the 2018 edition. 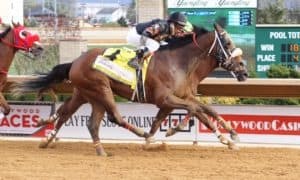 The race’s defending champion, Mind Your Biscuits, was also returning to Meydan, and Navarro knew him – and his trainer, Chad Summers – all too well. 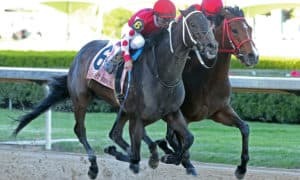 Though this would be the first showdown between “Biscuits” and The Jet, Navarro had competed against Biscuits in the 2016 edition of the Malibu Stakes (G1) with another top horse from his barn, Sharp Azteca. 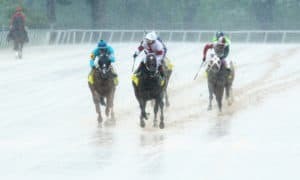 After taking the lead at the top of the turn, Sharp Azteca straightened for home with a lead, but a hard-charging Biscuits nailed him just short of the wire. Little did Navarro know that, unfortunately for him, history would soon repeat itself in March of 2018. Racing over the Meydan dirt in 2018 required one thing: early speed. The track had a heavy speed-favoring bias all meet, and many experts believed that X Y Jet’s quickness and class would make the difference. After closely stalking the initial pacesetter, X Y Jet turned for home full of run and took the lead. With less than 1 furlong remaining, X Y Jet looked to be home-free. What happened next defied logic. Throughout the entire meet, no other horse came from off the pace to win like Mind Your Biscuits had done (in track-record time, no less). Undeterred in defeat, Navarro and X Y Jet returned home with a plan in place to finally make it to the Breeders’ Cup. No post-Dubai surgeries were required this time; only a short recovery period. The Jet proved his might when winning June’s Smile Sprint Stakes (G3), his sixth straight victory over the Gulfstream Park main track. By now known as much for his fragility as for his blazing early speed, Navarro knew to take it easy on The Jet and mapped out a very light schedule in order to make the championships in early November. 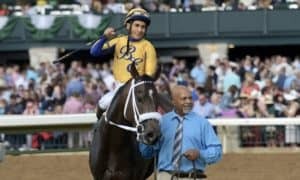 That one more race never materialized, though, and neither did a trip to Louisville for the 2018 Breeders’ Cup Sprint, where Roy H – who finished third in that year’s Golden Shaheen – gave one of the most dominating performances of the weekend. Though only 2.5 months into it, X Y Jet’s 2019 has already been subject to twists and turns. 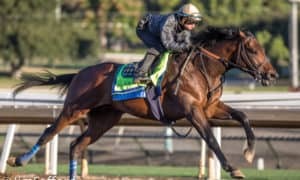 His seasonal debut came in the Sunshine Millions Sprint Stakes at Gulfstream Park in mid-January, a race that many saw as a slam-dunk for the two-time champion, but a wicked early speed duel proved to be his undoing. 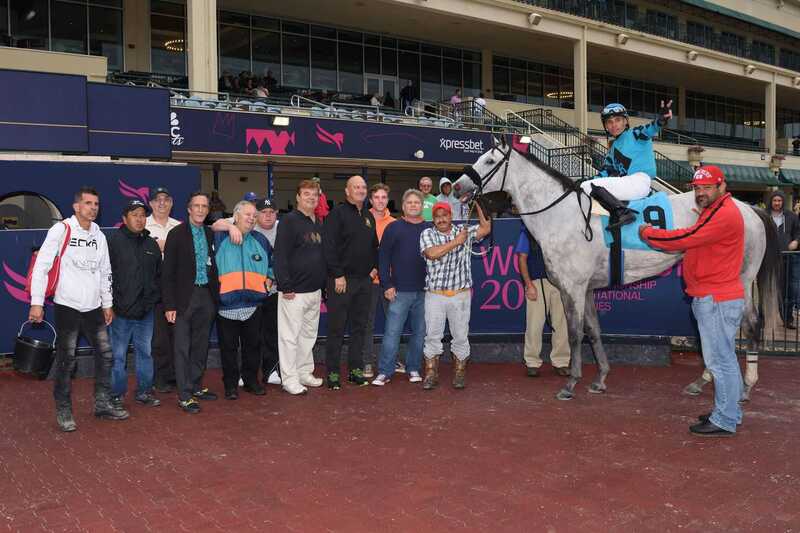 The Jet faded to fourth, missing the board for the first time in six starts and ending a six-race win streak over the Hallandale Beach main track. 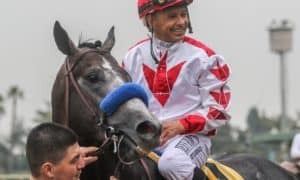 Navarro was understandably unhappy with the defeat, but once he determined that X Y Jet had emerged without any health issues, he stood firmly by his plan to return once more to Meydan in mid-March. True to his Hollywood-esque story, X Y Jet’s Dubai return would not have been complete without a little added last-second drama. His final prep, a 6-furlong optional claiming allowance event on February 13 at Gulfstream Park, almost didn’t happen. And so it is that we stand on the precipice of X Y Jet’s third act. By the time that you’ve read this, X Y Jet has already boarded his flight to Dubai, where he will have just under two weeks to settle before taking on a bevy of top-flight challengers. Other Americans expected to join him overseas include Roy H, Promises Fulfilled, and Imperial Hint. All are G1-winning sprinters, but none have had to hurdle so many obstacles like The Jet. Regardless of where he finishes, X Y Jet’s Golden Shaheen trilogy is reaching its finale. The long journey is nearing its climax. Only one question remains: will his saga’s third part more resemble The Lord of the Rings, or The Godfather? 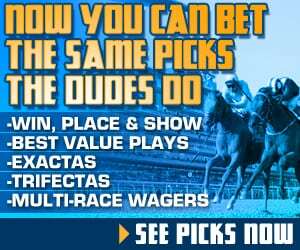 Special thanks to Gulfstream Park for providing several of the quotes in this article.